There are several ways to tell if your penny is zinc or copper. First and most easily, if your penny is dated 1983 or later, it is zinc. For pennies dated 1982, it could be either zinc or copper. The simplest way to tell without using machinery is to weigh your penny with a scale that reads to the tenth of a gram. A copper penny weighs 3.11 grams while a zinc penny ways 2.5 grams. Though keep in mind, circulated coins do gather dirt, corrosion, etc. So the weight could be slightly off for individual coins. In general, if your penny is dated 1959 to 1981 (with the exception of 1943), you can rest assured your penny is a copper penny. There are rare exceptions to the above for telling if your penny is zinc or copper. 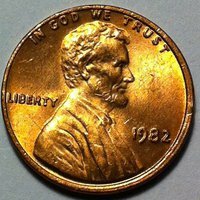 The U.S. mint had minted a small amount of error copper pennies in 1983. If your penny is dated earlier than 1982, it is copper. In 1943, copper was heavily in demand to be used in war materials for World War II. Because of this, the 1943 penny was made of steel. There was a small amount of error pennies minted of copper in 1943. If you have a 1983 copper penny or 1943 copper penny, that could potentially be a rare and valuable find! We sort pennies into zinc pennies or copper pennies so that way you can buy copper pennies or buy zinc pennies efficiently and easily.